The P’9981 powered by 1.2 GHz processor with Adreno 205 GPU, 768 MB RAM, runs on new BlackBerry OS which includes a browser enabling faster surfing experience and is priced for Rs.1,39,990 INR. The BlackBerry P9981 features 2.8 inch TFT capacitive touchscreen display with 640 x 480 pixel resolutions, comes with 8GB storage expandable to up to 40 GB with a microSD card. It sports 5MP rear camera with autofocus, LED flash and front-facing VGA camera. 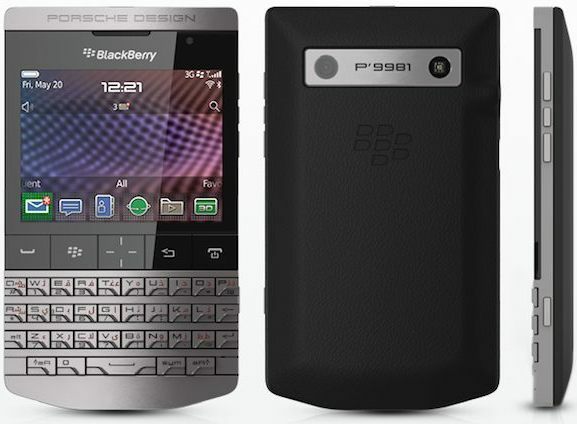 P'9981 smartphone is designed by Porsche that comes with forged stainless steel frame, hand-wrapped leather back cover, sculpted QWERTY keyboard, and crystal clear touch display. Connectivity options includes Wi-Fi 802.11 b/g/n, dual-band WLAN, Bluetooth v2.1 with A2DP and EDR, microUSB v2.0, GPS with A-GPS, built-in support for NFC. Other options includes liquid graphics technology, HD video recording, 24-bit high resolution graphics, advanced sensors(Accelerometer, proximity, compass). It comes with a standard Li-Ion 1230mAh battery which claims a back up of 348 hrs in stand by and 5 h 30 min of talk time. The smartphone weighs 155 gms and has a dimension of 115 x 67 x 11.3 mm. The Porsche Design BlackBerry P9981 smartphone is available only through select outlets like luxe watch and accessories showroom, BlackBerry Premium and BlackBerry Exclusive stores in India. Tags:BlackBerry P’9981, BlackBerry P’9981 features, BlackBerry P’9981 specifications, BlackBerry P’9981 review, BlackBerry P’9981 details, BlackBerry P’9981 availability, BlackBerry P’9981 specs, BlackBerry P’9981 images, BlackBerry P’9981 pics, BlackBerry P’9981 pictures, BlackBerry P’9981 price, liquid graphics technology, Porsche Design BlackBerry.